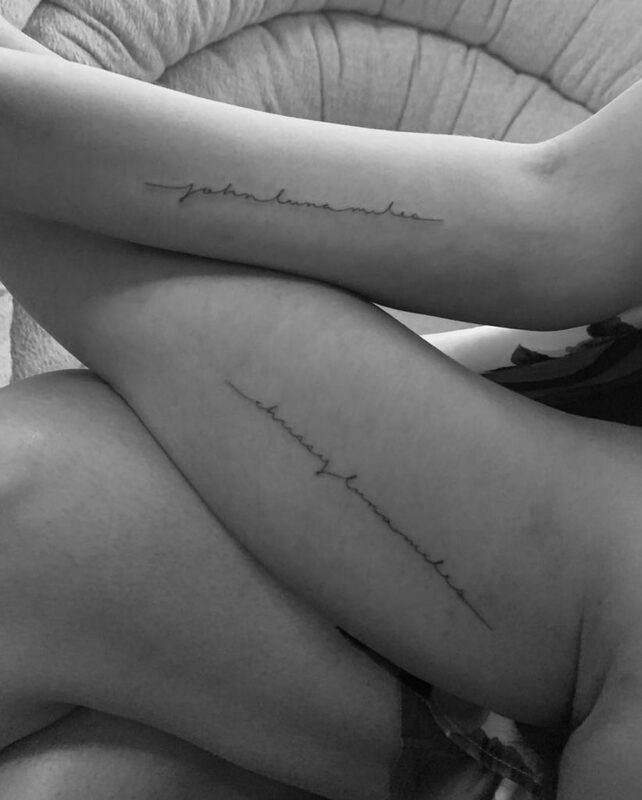 Chrissy and John got matching tattoos. 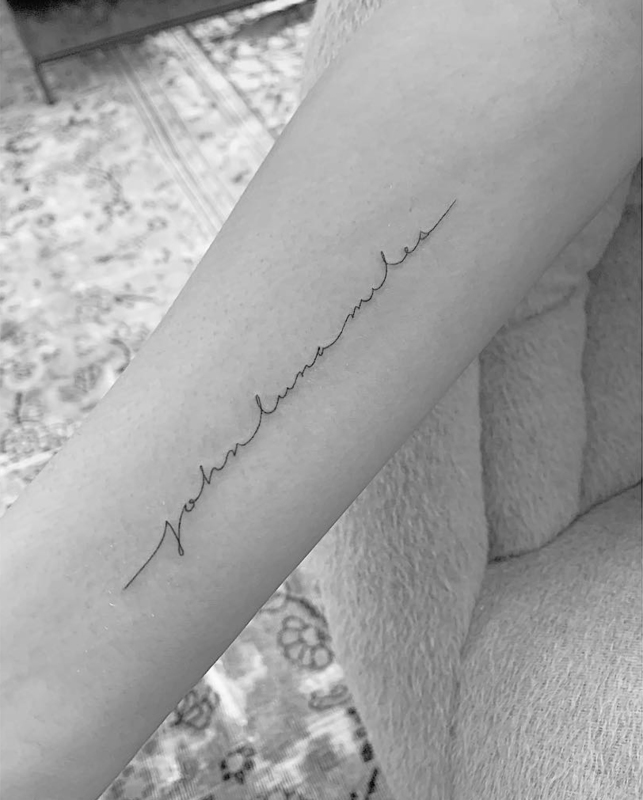 Chrissy’s tattoo says “John Luna Miles” while John’s says “Chrissy Luna Miles“. 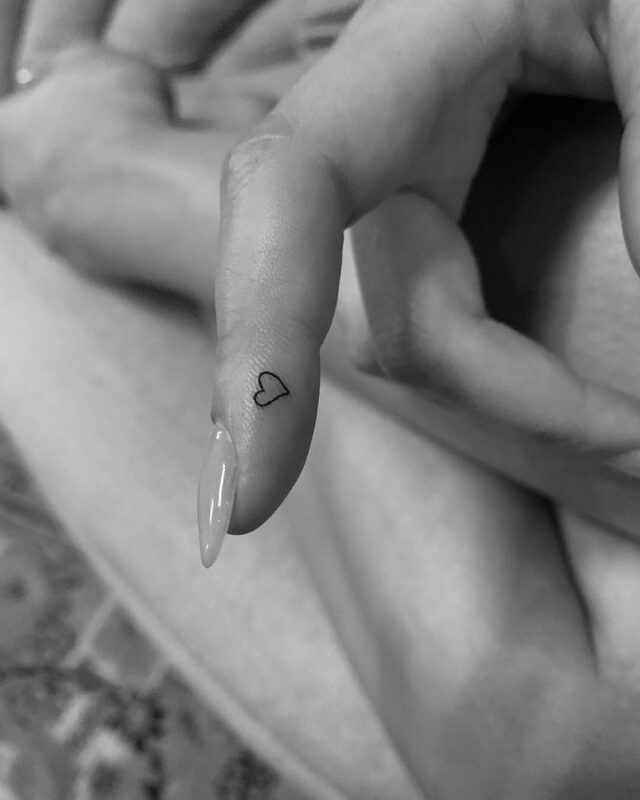 In addition to the name tattoo, Chrissy also got a little heart on her pointer finger. All tattoos have been done by the tattoo artist Winterstone in Los Angeles.